It's time to submit your BIG idea! It's that time of the year! The season of showing off those BIG ideas you have been working on all year long is here again! You think it's award winning? Can it live up to the Silicon Valley hype? 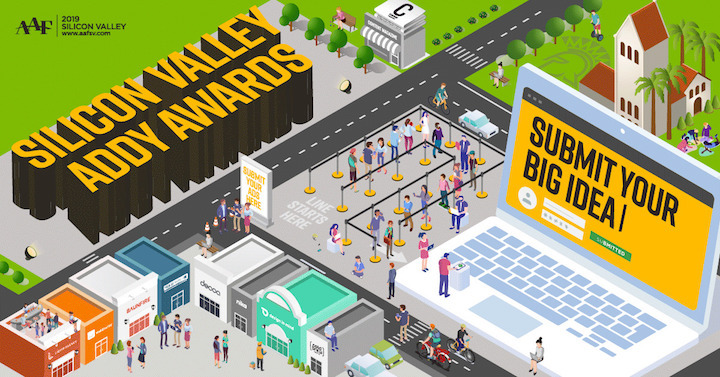 The 2019 AAF-Silicon Valley ADDYs competition is now accepting submissions from Silicon Valley Ad Agencies, Independent Creatives, Photographers, Illustrators, Designers, Copywriters, Students and anyone else who feels like they deserve to represent the Silicon elite. You can't truly be a winner if you don't compete with the best and that's what we are here in Silicon Valley, so come enter the 2019 American Advertising Awards.